The subject of gun rights is, not only fraught with discord about constitutional rights, but also incredibly confounding and full of misinformation. A major subissue of gun rights is the difference between state and federal regulations and the clash between the two. Another confusing factor is that there are different rules depending on what type of weapon and what type of felony. The most basic rule of thumb with gun rights is; if it was a violent felony, then forget it. At the very least, a felon can seek an expungement of the crime under extremely limited circumstances and then qualify to have gun rights restored. If the felony crime was not violent, then there may be a restoration of gun rights when the perpetrator’s civil rights have been restored. Minnesota also has several other factors that may revoke a citizen’s gun rights, including but not limited to; being deemed chemically dependant or mentally ill in a Court of law or committing a gross misdemeanor. “ Subd. 4.Restoration of firearms and ammunition eligibility to civilly committed person; petition authorized. (a) A person who is prohibited from possessing a firearm or ammunition under subdivision 1, due to commitment resulting from a judicial determination that the person is mentally ill, developmentally disabled, mentally ill and dangerous, or chemically dependent, may petition a court to restore the person’s ability to possess a firearm or ammunition. (c) When determining whether a person has met the requirement of paragraph (b), clause (1), the court may consider evidence from a licensed medical doctor or clinical psychologist that the person is no longer suffering from the disease or condition that caused the disability or that the disease or condition has been successfully treated for a period of three consecutive years. Yet, federal law can “trump” (no pun intended) Minnesota state law and, if the crime was due to domestic violence, the law can still ban a person’s rights for their lifetime. Also, harassment Orders and Orders of Protection may also prohibit a person from obtaining a gun under federal law while they are still in full effect. According to Minnesota state law, gun rights may be restored to a felon “automatically” if the crime that caused them to have felony status was non-violent. But do not be disillusioned; there is little that is automatic about this process. Under §609.165 subd. 1d RESTORATION OF CIVIL RIGHTS; POSSESSION OF FIREARMS AND AMMUNITION; Judicial restoration of ability to possess firearms and ammunition by felon. “A person prohibited by state law from shipping, transporting, possessing, or receiving a firearm or ammunition because of a conviction or a delinquency adjudication for committing a crime of violence may petition a court to restore the person’s ability to possess, receive, ship, or transport firearms and otherwise deal with firearms and ammunition. In lamens terms; you must have a non-violent felony, show proof of release from physical confinement and “good cause” for restoration of your gun rights. 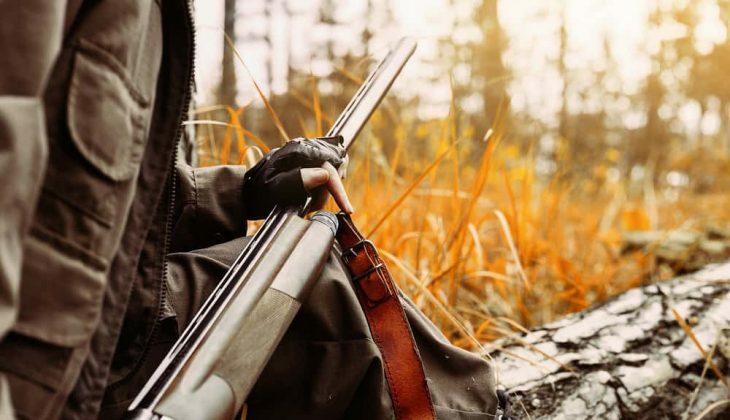 Can a Felon Own a Muzzleloader in Minnesota? Technically, a Muzzleloader is not a firearm. This is because the Federal Bureau of Alcohol, Tobacco and Firearms has labeled most black powder guns as being considered “antique firearms”. So, under federal law a muzzleloader is considered an antique firearm so long as it looks like a weapon created before 1898 and is not customized to actually be a weapon using cased ammunition. Yet, as with many other laws; there is conflict between federal and state regulations. Many states have other specific qualifications for black powder weapons such as barrel length and diameter. Therefore, a convicted felon can own a muzzleloader in the state of Minnesota so long as the gun is an antique or replica of guns made before 1898 and is not modified for regular ammunition.